This exhibit, designed for South Carolina Greater Greenville Sanitation, offers a creative solution for educating students about waste and the need to reduce it. The WasteLab, a 30’ long mobile exhibit, travels around the county to engage students about the importance of waste reduction, including reducing (consumption), reusing (what we consume) and recycling (what we can). 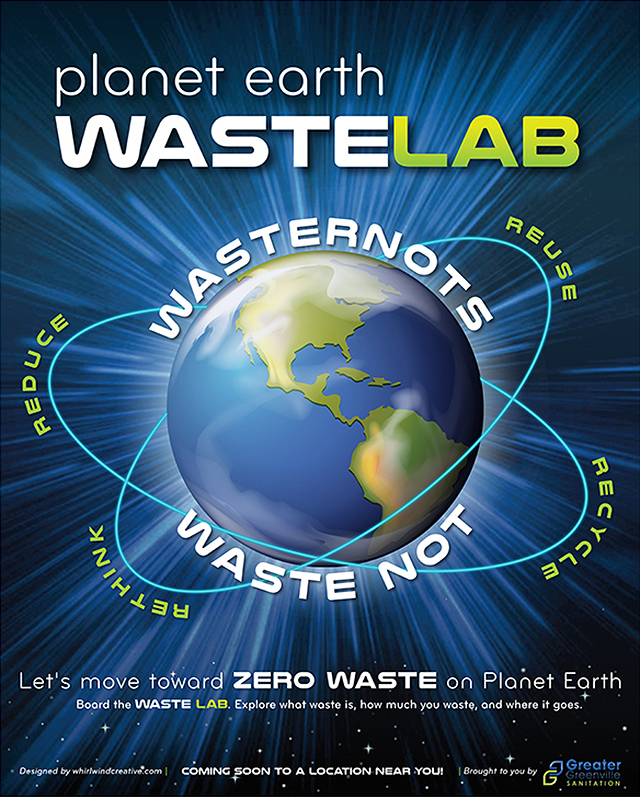 On board, young students are trained and certified as WasterNots to reduce their waste footprint on the planet.